Sequel to High Spirits - Georgina Hawtrey-Woore Award winner 2018. "Nazis alone were dangerous enough, but Nazis with the powers of ghosts... of evil spirits..."
"Here we have a novel with a rapid pace, a dollop of humour and a time slip... Good fun, many twists and turns, and with excellent period and political detail." Georgina Hawtrey-Woore Award judges. Rob Keeley is an award-winning author of children's novels, short stories and picture books. 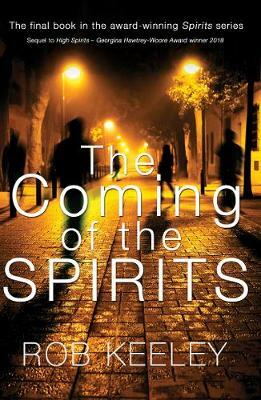 The Coming of the Spirits is the fifth and final book in his Spirits series, with book 4, High Spirits, winning at the Georgina Hawtrey-Woore Awards. Other credits include Chain Gang and Newsjack for BBC Radio.